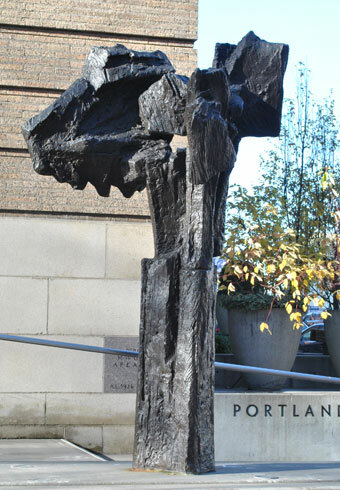 Hilda Morris (American, 1911-1991), Winter Column, 1979, bronze, Museum Purchase: Funds provided by Mr. and Mrs. Howard Vollum, © 2001 Carl and Hilda Morris Foundation, 80.123. 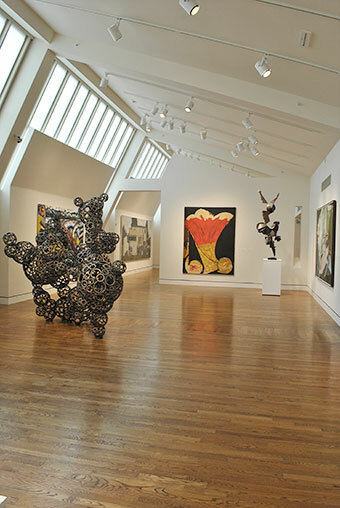 The Arlene and Harold Schnitzer Center for Northwest Art brings the Museum’s regional holdings to the forefront. The center presents work from the permanent collection and loan exhibitions that celebrate Northwest history and culture from the late nineteenth century to today. This collection distinguishes the Museum from other cultural institutions in the region, with work by past and present artists living and working in Oregon, Alaska, Idaho, Montana, Vancouver, Washington, and Wyoming. It offers a visual narrative of the Northwest while providing insight into the work of artists including Carl Morris, Morris Graves, Mark Tobey, C. S. Price, and Jacob Lawrence. The dynamic APEX exhibition series highlights emerging and established Northwest artists working in a range of mediums, from painting, drawing, sculpture, and photography, to video, installation, and sound. The Rubinstein Alcove features changing historic dossier presentations by notable regional artists, such as James Castle, Charles Heaney, Clifford Gleason, and Melville T. Wire.